Jeremy has over 15 years of legal experience, beginning as a clerk, then paralegal for a large Michigan law firm. There, he specialized in high volume e-discovery and warranty litigation case management for one of the “Big Three.” While in law school, Jeremy continued to work in other facets of automotive-related legal work, including e-discovery management in patent litigation. 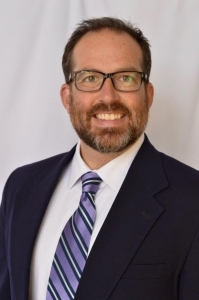 After receiving his Juris Doctor from Western Michigan University Thomas M. Cooley Law School and a short stint as a solo, general practitioner, Jeremy joined Erskine Law in April of 2014. Jeremy currently represents our automotive clients in over 100 lemon law and breach of warranty matters. He also has assisted in the defense of automotive product liability subrogation claims. Aside from his career, Jeremy is most proud of his role as a husband and father of two children. In rare moments of downtime, Jeremy enjoys many hobbies, including a long-time passion for motorsports, playing guitar, cycling, and reading.